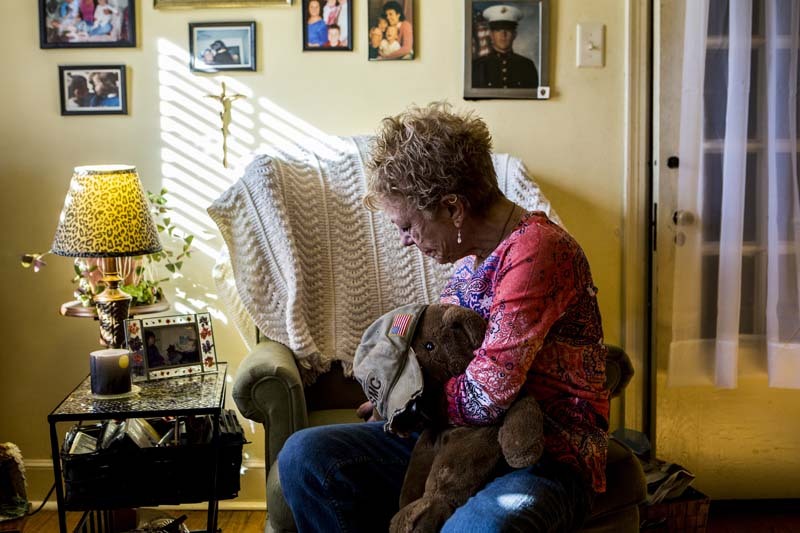 Feb. 21, 2014 - Nancy Oliver holds tightly onto "Brownie", Paul's childhood bear, while recalling his memory at her home that was only a block away from where Paul lived. "He (Paul) died because of the war," Nancy said. "He never came home from the war and the war killed him." Nancy lived on the same street, five houses away from Paul when he passed away from a drug and alcohol overdose.